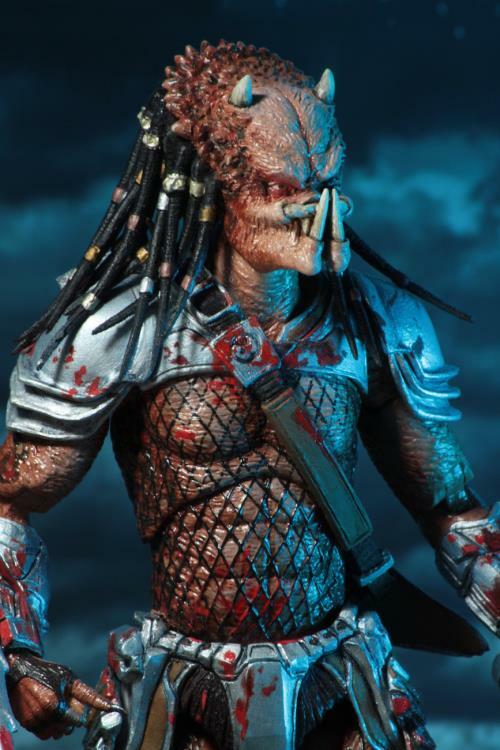 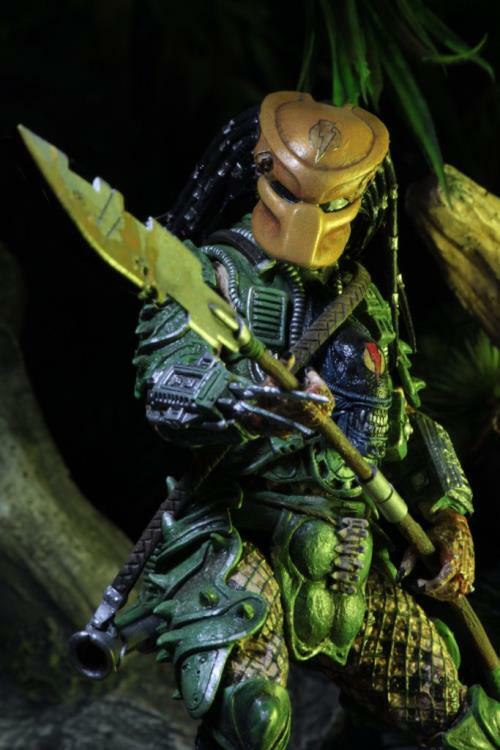 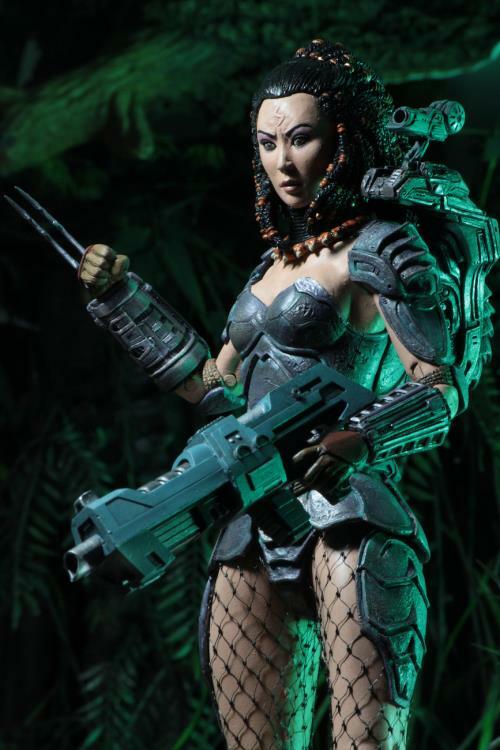 Broken Tusk originates in the classic 1990s Aliens vs Predator comics, and his epic story arc also includes Machiko Noguchi, a human colonist who performs the incredible feat of earning his respect and joining his tribe. 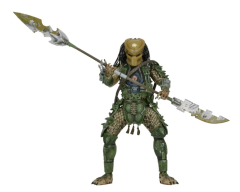 Broken Tusk utilizes the new Ultimate Predator body and comes with gun and bladed weapon that measures over 12 inches in length! 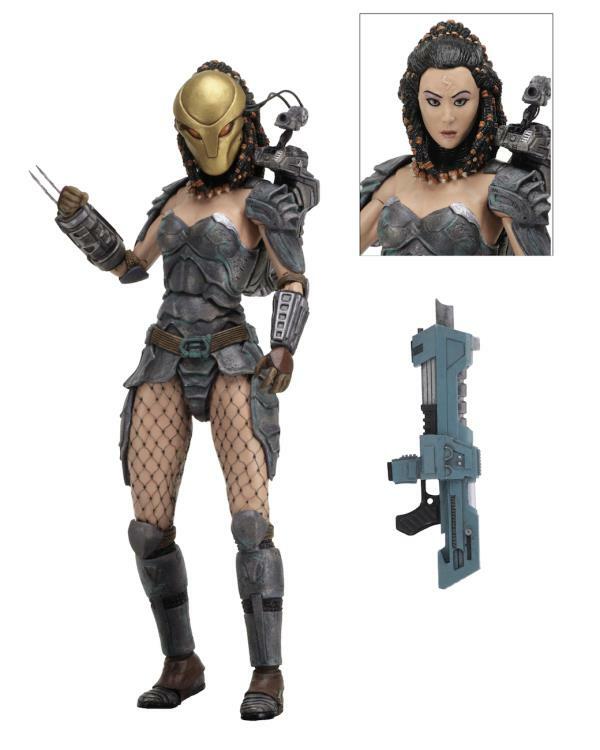 Machiko has a removable mask, extra interchangeable hands, and rifle accessory. 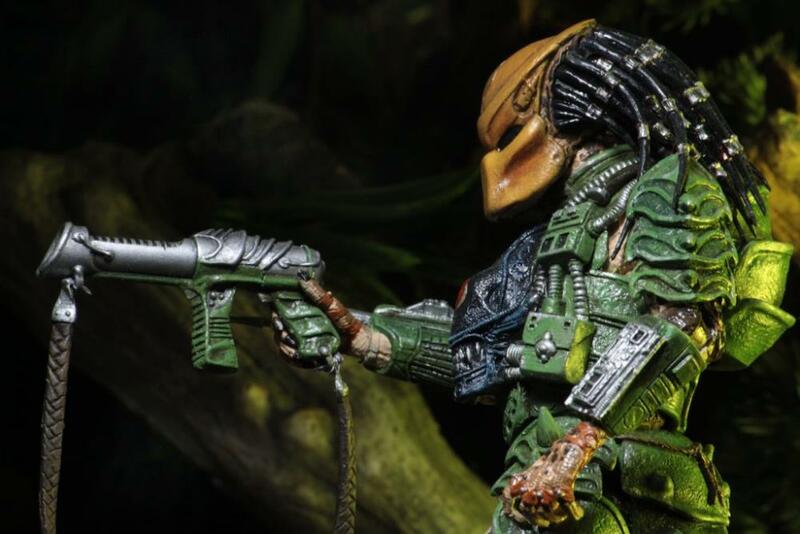 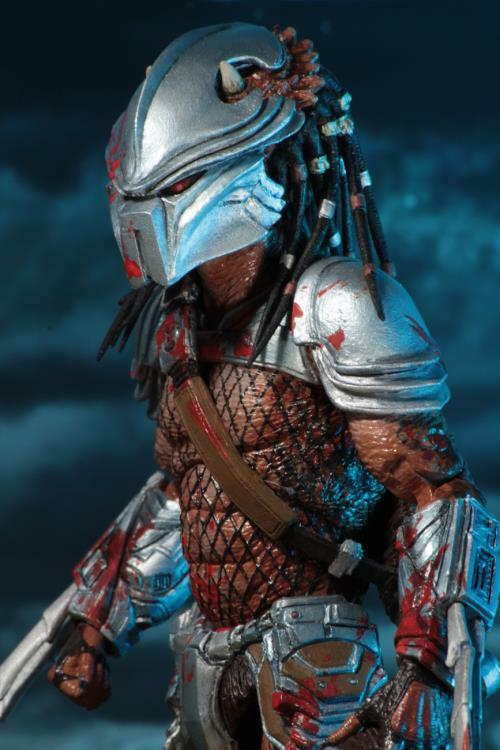 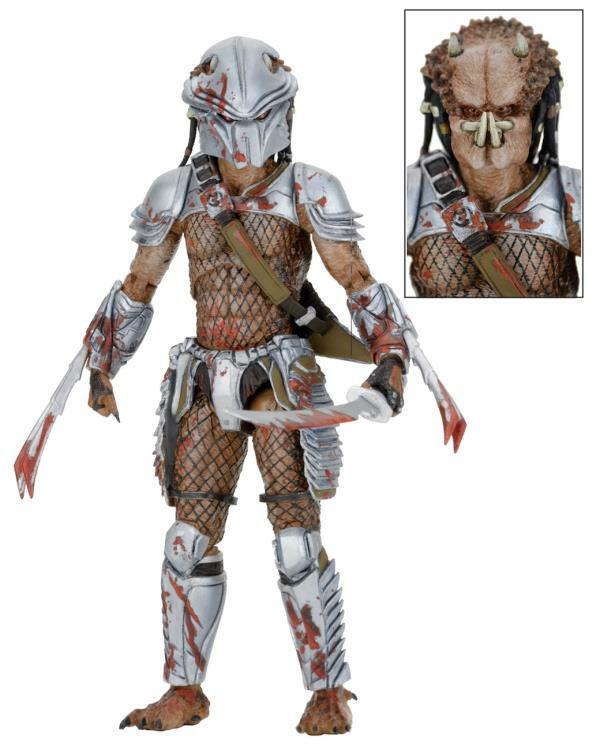 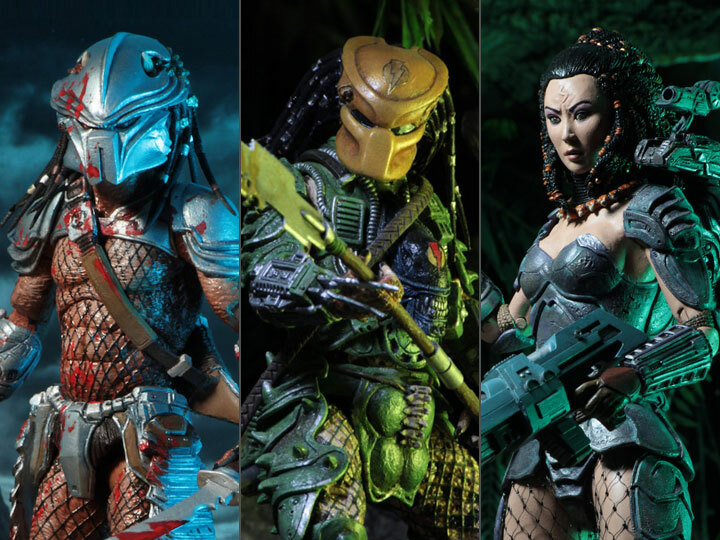 Neca has paid close attention to detail to make these as accurate to the comics as possible. 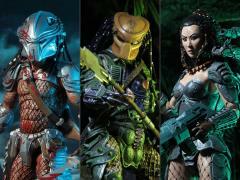 Hornhead and Broken Tusk stand 8 inches tall while Machiko stands 6.5 inches tall. 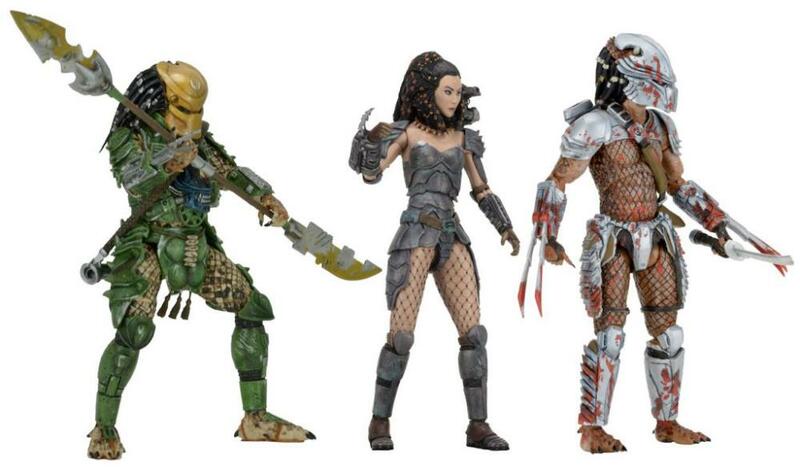 Each has between 25 to 30 points of articulation and come in blister card packaging.